This paper is an exploration of ten years experience as a member of a revolutionary socialist organisation, and a question about what happens next. Since 2005 at least I have been attempting to reconcile the Leninist political tradition I was trained in with my personal experience of alienation and oppression (as a queer woman with extensive academic training, a medium-sized income in the publishing field and a long-undiagnosed cognitive abnormality) ; with my humanities training with its insight into mass psychology, ideology and “memetics”; and with my own, highly idiosyncratic vision of what a world which worked properly for human beings would be like. And this is where I have come to, so far. I have often talked to people about why I cannot simply do the kinds of things that I could do in my first years as a political activist. I used to be able to sell a socialist newspaper to my workmates, or at least try to; man a political stall and hold discussions with passers-by; participate in demonstrations; even recruit to the organisation. I castigated myself for a long time, blaming myself for “cowardice”, “lack of will”, etc. Any Marxist or feminist would recognize the effects of internalised oppression if this were in the capitalist workplace; it seems very wrong that we tend to resort to blaming of individuals for feelings that arise from our own movement. But finally, and most simply, the thought struck me: I no longer believe. I no longer see, in other words, the essential relationship between these kinds of actions and bringing about the kind of social revolution that we need to preserve human civilisation and the integrity of the biosphere. And let me be more precise. I still believe in “revolutionary politics”. Marxian political economy still seems to me to be the only intelligent way to describe the off-the-cliff trajectory of today's financial capitalism, and the effects of alienated labour and oppression on the collective social and mental health of working people are clearly obvious. It's also clearly obvious that the only way out is a social revolution which expropriates the ruling classes and their media/ideological enablers and puts real decision-making power and cultural capital into the hands of the working masses. What don't I believe? Well, I don't believe in “Leninism” as it is usually understood today – or what Louis Proyect more accurately refers to as “Zinovievism”, after the 1920s leader of the Communist International who obliged foreign communist parties to adhere to a particularly narrow interpretation of how the Russian Bolsheviks worked. This doesn't mean that I am rejecting the intellectual heritage of the Russian Revolution altogether, although I think we should be more critical of Lenin and Trotsky's belief that a socialist state would be like a gigantic corporation or “central bank”. Efficiency under socialism will have to mean something other than the assembly-line mass-production model of a large capitalist bureacratic firm. But the more important point is that I certainly don't think that the “small group Leninist” model which remains with us from the post-war era until today – in Trotskyoid or Mao-oid flavours – is the way forward to social revolution. The two points behind this I see are one of strategy, and one of organisation. As far as strategy goes, re-examining my Marxist ideas, it seems obvious to me that real change in the world can only be brought about by social revolution – a change in the real relations of power in society. This is of course intimately tied in with economic revolution – a change in the way that goods and services are produced, distributed and received. The question of political revolution – a question of who controls the organs of power – is, as any thinking Marxist knows, of less important than the first two. The state is an outgrowth of social power relations – if society is not transformed, the state cannot be, not by the most enlightened of governments. And the question of state power is really the question of who owns the state – as, in our political tradition, we've fought for ages against the proposition that “state dominance of the economy = workers' power or socialism”. If the state expropriates the bourgeoisie (as in Cuba), then unless the social relations of alienated, waged labour and production for profit change, the actually existing real functionaries of the state (the bureaucracy) become the new, collective bourgoisie. The socialist government of Venezuela have tried an alternative – attempting to create a new “balance of power” between a revolutionised state and the bourgeoisie, in the hope that mass self-organisation will have the space to flourish. The jury is still out on whether this is working. But the point is that gaining political power is not the decisive question in which class is going to rule. The other question is organisational. The clear record of success shows that a small sect of ideologues, outside of the most intimate association with the class struggle (including any “full-time revolutionaries”) only has success in becoming a bigger sect, and then crumbling later on. The question of whether it propagates its ideas is a different one. A small intellectual group can function as a “think tank”, and perform valuable ideological work. But unless intimately linked to the class struggle as it is happening here and now, it will decompose into sectarianism in the way Duncan Hallas would have understood it – the important thing becomes “defending the ideas”, rather than making the ideas useful to change social reality. In the jargon of science, that's called a “degenerating research programme”, and the path to becoming a religious rather than a political group. To be concrete, I no longer believe in the central concept of “democratic centralism” as it has evolved in the small-group Bolshevik tradition (that is, the “party” debates things internally and then presents a united front in word and deed), because I do not believe it works in practice. And the simple reason for this is that I have suffered under its pains and never enjoyed the promised successes. I have never been subjected to any of the cultish insanity or bureaucratic atrocities that you read of in the really scary groups. But I have experienced what it is like to be on the losing side of the argument, of feeling obliged to give the majority argument in public, to defend it... and then to watch it fail, to realise that your own instincts were correct, and then to realise that there is nothing to stop exactly the same thing happening again. The theory behind democratic centralism is that if the leadership screws up then the leadership can be replaced, or forced to account for its failings. 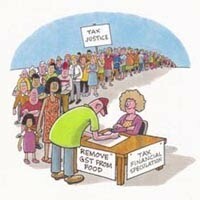 But this is much, much harder than it sounds in practice in a small voluntary organisation. The people with the most time, energy and self-confidence will tend to win every debate, unless they're coming up against someone else equally strong in those regards. And every “victory” won by an incumbent leadership increases the habit of going along with what that leadership says. What is worse is when the leadership dismisses dissent on the basis that only the leadership really knows what's going on - claiming special insight on the grounds that only the leadership has the capacity to know whether the leadership's initiatives have been successful. This may combine with the suggestion that dissent is due to ignorance of things that the leadership knows but doesn't feel the need to prove, or a lack of “revolutionary optimism” or “closeness to the working class” of dissenters. This lends itself to a certain circular definition of leadership. It's altogether too close to bourgeois democracy's “cult of the expert”, the belief that only certain people are qualified to be leaders - which reminds me of the increasing professionalisation of union leadership. You can't have democracy in which the followers are disqualified from having their opinions taken seriously. If a group gets to the point where there is simply no ready alternative to the existing leadership (in part because all the contenders get slapped down hard and end up gun-shy), then it may end up in an ever-decreasing circle where the leadership's mistakes can never be corrected except on the initiative of the leadership itself. The members of the organisation who have lost confidence in the leadership have nothing left to do but to “vote with their feet”, or else to simply shut up and plow their own furrow. No-one is “to blame” for this. It is certainly not the fault of the personality of any comrade, since it happens in so many other groups. We are all doing our very best, by our own lights, to do some good in this world. And I also reject the sectarian answer that the problems of a political organisation can be traced back to its programme... if by “programme” we mean the line it takes in its publications. But if by “programme” we mean how it actually operates, internally as well as within the movement, then perhaps we begin to make some progress. Tony Cliff suggested that “you don't need a beautiful chisel to create Michelangelo's David”, by which I assume he meant “ugly means can create beautiful outcomes”. That's a supportable philosophical point. But I am increasingly also believing that, since we are a movement for the liberation of humanity into a new world where we live in harmony with each other and the rest of the natural world, change has to be prefigurative. “The master's tools will not dismantle the master's house”, as the feminist Audré Lorde put it. We keep saying that working people can only become fit to be the ruling class as part of the struggle to become the ruling class. Do we really believe that the traditions of the post-war small-group Leninist left have produced a layer of people who have been positively transformed by their years in the milieu? Why are there so many casualties? Of course people get discouraged by years of failure, although perhaps they wouldn't if they weren't enticed into activism on false promises of the imminent millennium. But my own personal, Quixotic quest has been to reconcile being an effective political activist with personal healing, a way to come to terms in one's own life with the effects of exploitation, alienation and oppression. I have always believed that the kind of political organisation that could really make a difference would make a difference for its own members as well as in the real world of the class struggle. Being a member of such an organisation would not be a comfortable escape from reality (as is the real motive behind sectarian decomposition), but would help comrades to live their lives in the world of exploitation, alienation and expression better, more healthily, as well as giving them the tools to change it in fundamental ways. This is of course the same insight as many Marxist writers on pop psychology or pharmaceutical approaches to depression have had: that it's not the individual's fault they can't deal with reality, it's that capitalist reality is fundamentally unreasonable. But when the internal environment of a Marxist group is also fundamentally unreasonable – when it reproduces the hierarchies, dominance games and doublethink of the capitalist world – then you have to wonder what kind of a better or even different world can be produced by such a system. So, where does this leave me in practical terms? I completely endorse the analysis of American socialist Dan DiMaggio in his article “Road maps, dead ends and the search for fresh ground”, which has also been distributed. There is simply no point to building sect-type socialist organisations, around one particular “political line”, in the current era. That sort of behaviour will guarantee that the audience for socialist ideas remain tiny. In retrospect, it seems a terrible disaster that the Workers Charter newspaper, our most successful venture in almost a decade of broad-left initiatives, ran out of steam – if it still existed, perhaps in the form of a website, it would be exactly what I think we need right now. I now do not think that collectively launching a terminal 5 website, devoted to promoting the collapse analysis, is a good idea at all. This is simply because I cannot imagine how this would mean anything more than “another sect” - another way of differentiating ourselves from the masses by a political line. Also, while I still find the analysis persuasive, I must admit that I feel like this is one more proposal which has been “pushed through” our organisation by force of personality. What is left of Socialist Worker cannot be cohered by “shared allegience to the collapse analysis” - that's the outmoded Zinovievist way of thinking that I now reject. This hypothesis must be tested in debate and practice with the broader left – and I do not think that building a website designed to promote it is the best way to start that. Instead, I propose we throw ourselves into building a broad eco-socialist website, including both posted articles and a moderated forum, through which networking of broad-left activists for theory and practice can organically grow into existence. The “collapse analysis” can and should be promoted there by those who find it convincing, without any expectation that there is a membership organisation based around “believing” it which must “uphold it in public”. I have no interest in belonging to such an organisation. We should call for volunteers as quickly as possible for an initial Editorial Board of such a website. We should commit ourselves to starting eco-socialist local groups, with a perspective of eventually federating into a national Eco-socialist network. 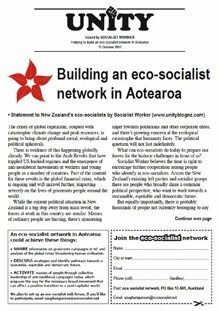 These should unite theoretical discussion and practical action around ecosocialist politics, between the existing socialist and anarchist Left, those sympathetic to such politics within Mana, the Greens or even Labour, and ordinary people who are increasingly aware that something's got to “give”. This would not just be a “climate” group, in that it would treat the ecological crisis and the financial and legitimacy crises of capitalism as part and parcel of one another. Hopefully, such a group would have the kind of flexibility and internal culture which I have discussed above. What of Socialist Worker as the lineal descendent of the Communist Party of NZ (established 1921)? I believe that SW's current organisational model (with the CC pretty much including all the active members) is not fit for purpose and is a “Potemkin village”. But we should continue to exist as a loose network for the next little while, prioritising building the Eco-Socialist website and networking, while of course discussing theory and practice in the various struggles and campaigns that arise. But I would envisage that increasingly, as the website comes into action, there would be less and less “internal discussion” and more and more our activism and discussion would be as “broad eco-socialists”, on that website and in the local groups and the national network. There then remains two possible futures for SW – that it should “wither away”; or it should regroup with other broad-party socialists. In my opinion the latter option would be preferable – if and only if there really are other Marxist activists in this country who are ready to take the serious step to trying to build a “new-age cadre movement” rather than a “Zinovievist” group, with its accompanying problems of internal dominance of a few “leaders” and intellectual petrification. I have no way of knowing which is more probable from where we stand now. Daphne Lawless has been a member of Socialist Worker since 2001. She has written for and edited many socialist publications, including _Workers Charter_ newspaper (2006-8) and _UNITY_ magazine and its predecessors (2003-10). She was a student activist and staff unionist at Victoria University of Wellington from 2002-5. She stood as a RAM candidate for the Auckland City Council in 2007 and for Parliament in 2008. • Road Maps, Dead Ends, and the Search for Fresh Ground: How Can We Build the Socialist Movement in the 21st Century? by Dan DiMaggio (2010). What really struck me in this piece was the frank discussion of how we blame ourselves (I wasn't confident enough, etc.) for a model that can never work by design. These groups are intellectually sharp but emotionally dead, hence why Occupy has taken off with anarchists in the lead. 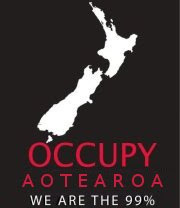 I loved your piece on "Occupy and the tasks of socialists" (which is also on the reading list for the Socialist Worker NZ conference participants), Binh. It occurs to me that the International Socialist Tendency groups do a pretty good line in ex-members. Isn't it joked in Britain that the leading socialist movement there is ex-SWP members? If this has a grain of seriousness in it, it would suggest that the IST tradition has a good record in building and educating cadre, but a bad record in organising and retaining them. I'm flattered that comrades overseas are reading my Tasks piece as part of their strategic discussions. The response in the States to it from socialist organizations has been almost nil, although a few individuals from SP USA, Solidarity, and DSA reached out to me. I am grateful for the Marxist education I got from the ISO but (and this is a big but) the practical training, methods, and approach is mostly wrong and positively harmful. The revolving door membership is terribly detrimental to the socialist left; people who leave the organization are almost always lost to politics for good in part because they can't stand to be "movementists" and think they are simply not cut out for "party building." We need all the socialists we can get and so this is why I say these methods are detrimental and outweigh what formal political education they do. Of course this is debatable but I know of dozens of comrades who we lost to struggle altogether for this reason. I personally find this to be totally unacceptable given that the 1% have been robbing us blind for the last 3-4 decades because our side hasn't been able to get it together until Occupy erupted.